April Fools' Day ain't just for kids any more, as the tech companies also like to show they've got some sense of humor; so expect fake news even from the most unlikely sources out there. keep a watch on social media feeds as you're sure to find links across Twitter and Facebook about some ridiculous new venture from the likes of Google. While company like Lyft - the uber usurper, have taken the heat on with the April Fools' Day that's already upon us, the ride-hailing company faked a new wearable that, it said, would let you catch a ride by raising a glove called the Mono. Hahaha! We've scoured the web to find the geekiest April Fools' web pranks of all time, including the just past hoaxes so you would know what to expect. 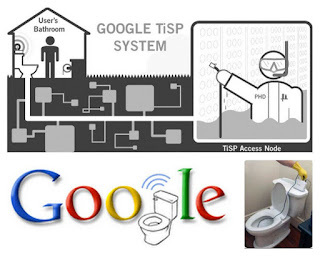 Rewind to 2007 is the introduction of the Google's Toilet Internet (Google TiSP) service. 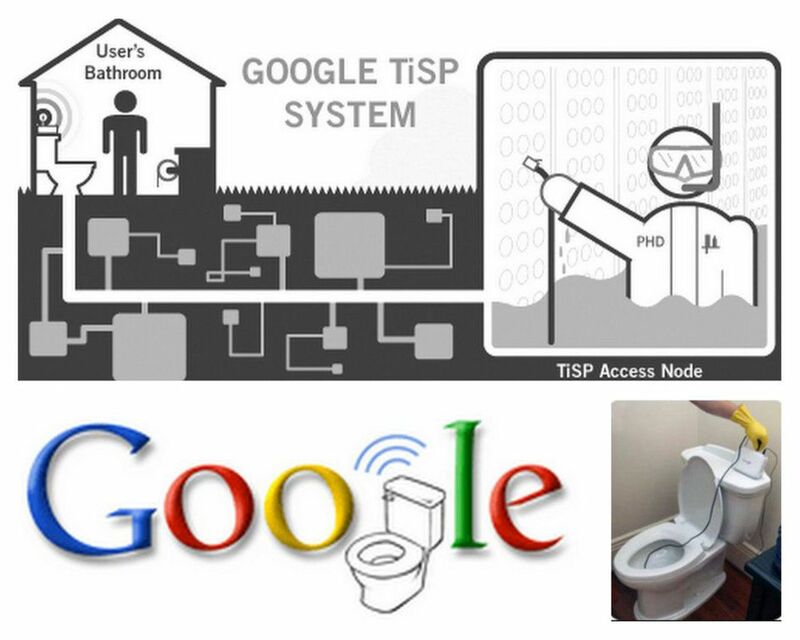 TiSP as weird as it sounds involves hooking up your home to wireless broadband through your toilet with an elaborate set of instructions involving gloves and a cable into porcelain throne. And it still stands out. YouTube introduced its "latest innovation," which let you "literally hold YouTube in your hand" - was the headline in 2012, advertising YouTube Collection promo set of DVDs containing every video uploaded to YouTube. April Fools' Day 2016, Mark Zuckerberg & H&M collection site sprung up containing just seven basic gray T-shirts and one pair of jeans which isn't associated with either Zuckerberg or H&M. Remember not to believe everything you see and relive the geekiest April Fools' web pranks of all time, as more jokes roll in, so watch out and remain skeptical. While Stories feature for social networking platforms have become a huge hit, with Snapchat spearheading the innovation, which as an ephemeral messaging app has successfully positioned itself as the competitor to watch. Facebook followed suit by adding camera filters and masks, just like its on Snapchat app, and even partnering with brands for themed lenses. With Facebook news feed now much different, bringing Stories from friends in a horizontal scroll, and as a visual diary separate from your main news feed that disappears after 24 hours timing. And for those who don’t want to add a photo or video to their story, can send it directly to a friend or a group with Facebook’s Direct messaging feature. Facebook’s new Direct messaging feature is a spun off its messaging functionality, Messenger, and now Facebook is adding the new chat functionality back to the app. The feature has since been added to Instagram, WhatsApp, and Facebook Messenger, giving its billions of users yet another way to broadcast their lives to the world. Albeit, Facebook may not kill Snapchat altogether, but it just gave its billions of users less reason to tryout Snapchat after all. Microsoft’s Docs.com shares documents uploaded to the site as public by default, albeit many users are unaware, and many people even go as far as uploading their bank statements to the file sharing site. 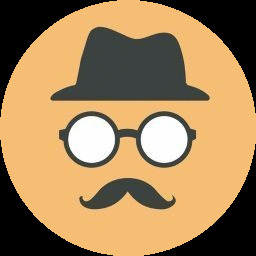 While a simple search on Docs.com turns up sensitive information, such as: health insurance ID numbers, social security numbers, personal contact details, legal correspondence, among other personal data. 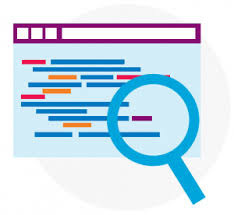 Microsoft had inadvertently removed the site wide search function from Docs.com, but as at the time of this post, the search function has been restored. 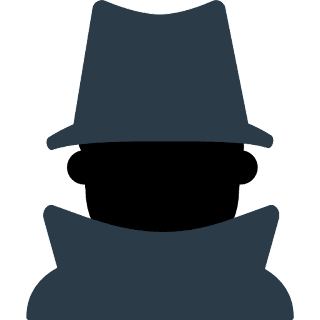 The issue was uncovered by security researchers, attributing the “exposure” setting that require users to scroll far down the left-hand navigation column during the upload process, for the public default of users documents. Docs.com as the tagline depicts “Share your work with the world” was conceived as a way to put Office documents on the web without hosting them on your own website. There are so much public personal information on Docs.com, as a result of design issue with the site, which doesn't require you to explicitly authorize documents you want to make public. Microsoft, however, has responded by placing a warning box after clicking Save, to let users know that any information they upload will be public. What's creepy about Microsoft's Docs.com portal? Before now, Facebook only allow Pages to stream from desktop, not regular users, and had limited gameplay streaming partnership with developers like Blizzard, while regular users could only stream live videos on mobile. All users, now can go Live directly from Facebook’s website via their webcam, or stream through software hooked up to a desktop and broadcast gameplay from their PC. While the use of streaming software to broadcast straight to the News Feed allow creators to add on-screen graphics, titles and overlays to make their streams more professional. Facebook's move is coming on the heels of rumored Twitter plans to allow media firms to post live streaming videos directly to its network, and invariably, it brings the service at per with longer-standing competitors like YouTube and Livestream. The company had previously moved quickly to roll out Live and add a Live API for broadcasting from professional equipment. With the desktop launch, Facebook is perhaps looking to become a ubiquitous broadcasting tool, and thus the ultimate place for people to broadcast when there’s something worth sharing. In comparison, Facebook's taking a swing at Twitch while also one-upping its mobile live streaming competitors, albeit the major difference between Facebook live videos and Twitch is that Twitch users are able to monetize their efforts. While Microsoft Edge has been touted as the most secure browser, and at the same time supporting the latest web standards; Pwn2Own 2017 proved otherwise as Edge browser was hit the hardest, while Chrome remained unhackable during the contest. 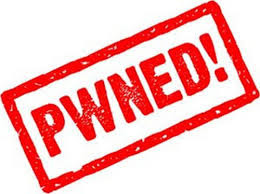 Pwn2Own is a hacking contest held annually at the CanSecWest security conference, where contestants try to exploit popular software and mobile devices with previously unknown vulnerabilities. At the last edition of Pwn2Own, Microsoft's browser proved a little too hard to beat, far better than Internet Explorer and Safari, while Chrome was only partially hacked. But come 2017, Microsoft seems to have lost its edge, as things got worst for Edge; the browser was hacked not less than five times. With the most impressive exploit, and also a first for Pwn2Own, wrought by a security team from “360 Security” - virtual machine escape through an Edge flaw, leveraging on a heap overflow bug in Edge, a type confusion in the Windows kernel, and an uninitialized buffer in VMware Workstation for a complete virtual machine escape. There was just one attempt to hack Chrome, but the Tencent Security Team Sniper couldn’t get the attack to work in the allotted time. And two attempts were made against Mozilla’s browser, Firefox during the contest, but only one succeeded through an integer overflow in Firefox and an uninitialized buffer in the Windows kernel to elevate system privileges. Other major browsers like Safari, got hit on first attack using three logic bugs in the browser and a null pointer dereference to elevate privileges in macOS. However, it was awarded only a partial prize ($28,000) because the UAF bug had already been fixed in the beta version of Safari. In the meantime, Chrome remains the undisputed champion in browser security, albeit perhaps, Google already discovered the bug and fixed it before the contest, making it impossible for the exploit to succeed. Pwn2Own 2017: Is Chrome now the most secure Browser? Google unveiled the developer preview of Android O, albeit it's an unfinished version, intended to give developers a close feel before the actual release. While the developer preview of Android O may be two months until I/O, Google already got the drum rolling on some of Android O’s new features and enhancements. 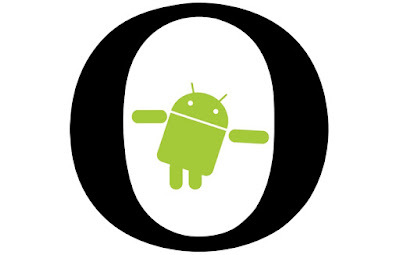 The company's tradition of naming each successful edition of the hugely popular software alphabetically (as the latest previous version is called Nougat), and after a candy or sweet, is expected to continue with the new O initial. Android O's biggest update is perhaps a tweak meant to conserve smartphone's juice, thus ensuring better battery-life. Google places a limit on what apps can do while they are not actively in use on the phone, for instance, apps won't be able to do as much with location updates while running in the background with Android 0. Other new stuff includes: more control over notifications, better Android's WebView functionality, and split-display mode for phones and tablets. Android's WebView is a nifty service that take advantage of browser technology to secure your smartphone, by making it harder for a maliciously coded app to steal your personal information. While the split-display mode view on phones and tablets means you can keep watching a video while using other apps, along with a new overlay window for apps to use instead of the system alert window, as well as multi-display support. There are bevy of smart changes under the hood in Android O for developers, such as ability to use fonts in XML layouts as well as define font families, as well as declare the font style along with the font files. 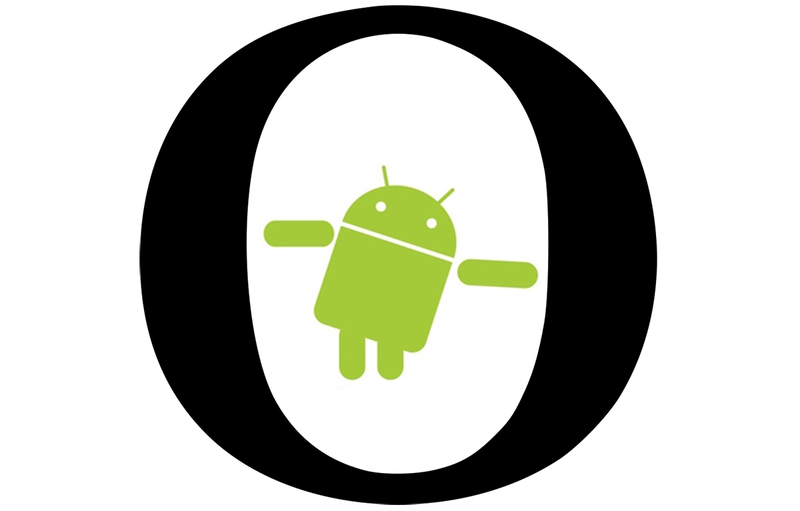 But, the current developer preview of Android O isn't the main beta program, so developers will need to manually flash the ROM to their devices to get the feel. The company, however, has promised to open up the main beta program as development continues, and giving “a deep dive on all things Android” at I/O in May. What new tricks will Android O bring to the table? Guetzli is an image encoder by Google currently in developmental stage, that aims to reduce file size by over 20 per cent, with significantly improved image quality. Guetzli-encoded images are typically 20-30% smaller than images generated by libjpeg, and unlike Google's other image compression projects (WebP, WebM), the new JPEG encoder is compatible with existing browsers, devices, photo editing apps, and the current JPEG standard. The project codename, Guetzli is Swiss German for cookie; and was born out of Google Research office, Zurich. While there are numerous ways of tweaking JPEG image quality and file size, Guetzli focuses mainly on the input of values stage, which allows for reduction of disordered data, thus resulting easily compressed data. With normal JPEG encoding, this process usually reduces image colour gradients to single blocks of colour and often obliterates some details, but Guetzli uses a new model, Butteraugli, to determine which colours and details to implement. Butteraugli is derived within hundreds of high-precision constants, which produces "approximates colour perception and visual masking in a more thorough and detailed way" than other encoders. Albeit, encoding images with Guetzli, is slower than libjpeg due to the more involved input of value processes. Guetzli has be open-sourced and freely made available to download on Github, so webmasters, graphic designers, and photographers can give it a try. Twitter, most obviously wants to transform into one of the biggest platform for live videos, with the rumored plans to allow media firms to post live streaming videos directly into the network. According to reports, the company will soon open up its live-streaming API for media firms to plug directly into it’s software, allowing them to go live on the web without having to use Periscope. While, Twitter has been hosting live sporting events (and e-sporting) recently, the current move is perhaps the biggest effort by the company to promote live-streaming on its platform. Twitter will also announce partnerships with "firms that provide back-end services for live-video streaming." 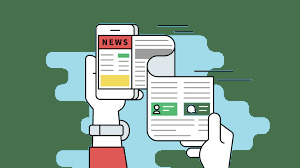 And as the new feature will be exclusive to media organizations, regular users will have to stick to Periscope for their broadcasts, as those will make only a fraction of all the videos on the platform once media companies start taking advantage of the API. 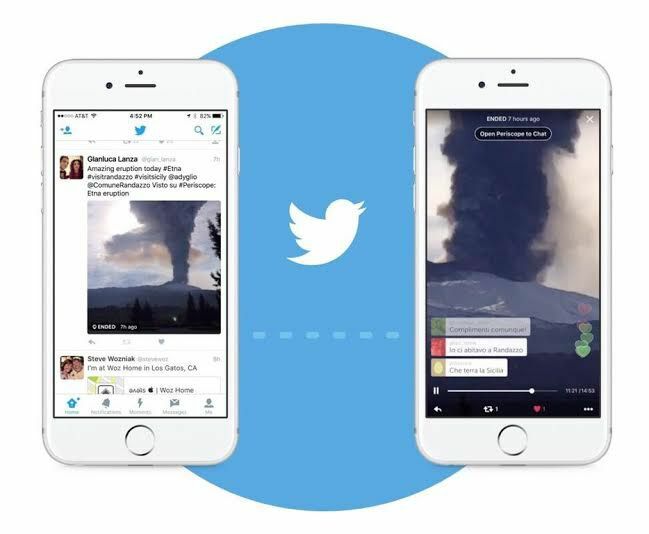 Albeit, it appears that the new open API for live-streaming directly to Twitter will supplement Periscope. What's the big deal about Twitter opening up its live-streaming API? Microsoft has announced a beta release of a new game chat feature that will enable players transcribe speech-to-text or text-to-speech on Xbox One and Window 10 PCs. 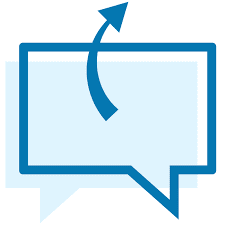 The chat transcription makes it easier for gamers to communicate by converting typed chat into speech, and vice versa. While the new feature public release will be available on Xbox One and Windows 10 shortly, the first game to support it will be Halo Wars 2. 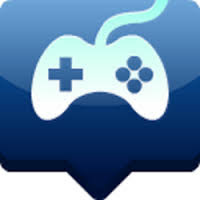 The chat transcription feature will enable players to transcribe voices into text, which could be useful for gamers who want to avoid blocking or muting particular players. It's especially useful for players who have poor hearing, as well as people who are unable to speak during a game session due to technological limitations (i.e. no microphone) or a physical inability. The feature, however, will need to be supported in games directly, and won't be available as part of the Xbox One’s party chat option. For Xbox One users, the feature can be turned on by going to Settings > All settings > Ease of Access > Game Chat Transcription. While for Windows 10 PC, open the Xbox app and go to Settings > General > Game chat transcription. 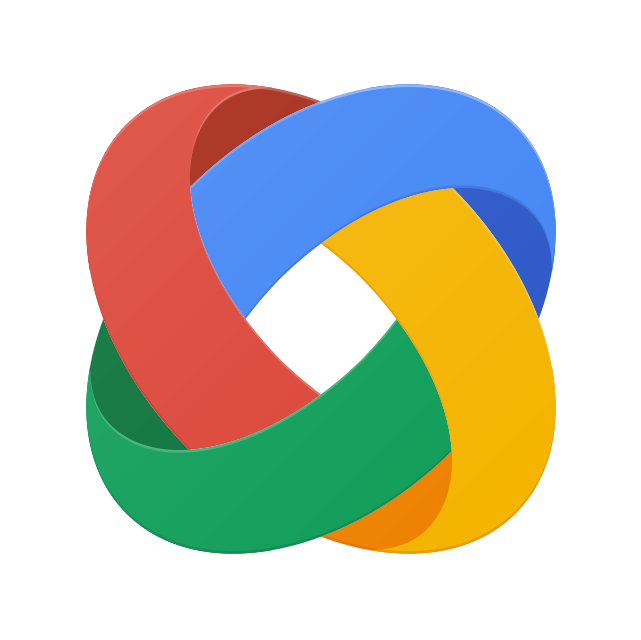 Google unveiled its Family Link app, a means for parents to remotely monitor their children activities online, while connecting both the parent's Google account and the kid’s allowing them also control videos their children watch. As opening a Google account for minors may not seem farfetched nowadays, the new tool will enable parents keep a tab on the kid's activities and warn about inherent dangers online. The Family Link app can help to keep tabs on what they’re doing when not watching, as well as offer the option for parents to teach them how to be safer online. It allow parents of children of 13 years and under to be able to approve or block the apps they download from the Google Play store, and monitor how much time they spend using apps, with daily screen time limits, and able to remotely lock kid’s device when it’s time for a break or bedtime. Additionally, parents can remotely manage settings and content for Google app and the YouTube Kids app, along with knowing the location of their child’s device. And parents can also set a new unlock code when the child forgets his, ping a phone that has been misplaced, and control which apps have access to the camera or microphone. 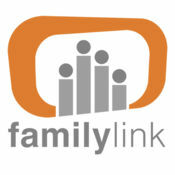 To set up the Family Link app, all that's required is an Android phone running KitKat 4.4 and above (for parent), and a newer Android phone running Nougat (for the kid), then download and install the app, set it up, and the two phones will be connected. Google in an effort to curtail fake news, will be employing data from human "quality raters" to teach its algorithms to better spot inaccurate and offensive information, thereby eliminating such from search result pages. While Google’s quality raters, comprising over 10,000 contractors that Google uses worldwide to evaluate search results, will then rate pages that appear in the result pages. Using a set of guidelines on how to assess website quality, the quality raters rate pages based on accuracy and relevancy, and with the data, Google tends to improve its overall search algorithms. 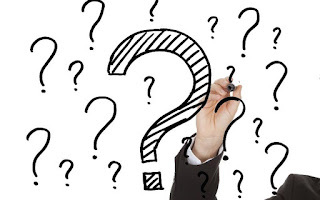 Before now, Google's quality raters had produced data used to improve Google’s search algorithms generally, now the guidelines have been updated with a new section about “Upsetting/Offensive” content that includes a new flag for raters to use. Albeit, marking a particular result as upsetting or offensive won't suppress it immediately from the search result, rather, it's meant to train Google's algorithms to understand such low-quality contents. And the data will eventually impact on low-quality pages that are spotted by the raters, as well as on others that weren’t reviewed. This is coming on the heels of criticism on Google and Facebook for not doing enough about misinformation circulating on their platforms during the past U.S. presidential elections. Meanwhile, Facebook has equally taken steps in same direction with the launch of disputed tags. Fake accounts have invaded the micro-blogging platform, with an estimated 48 million bots on Twitter, according to study by the University of Southern California and Indiana University. The study involves over 1,000 screenings to identify bot accounts on the platform across six categories, using Twitter's most recent figure of 319 million active monthly users. 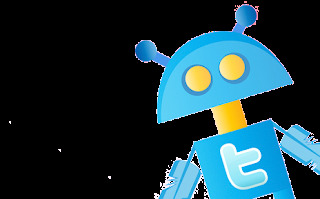 With estimated 9 percent and 15 percent of Twitter's active monthly users as bots, which translates to 28.7 million to 47.9 million bots on the social media platform. The researchers suggested, however, that the 15 percent figure is a "conservative estimate" given the sophisticated nature of most modern bots, which could possibly have been identified as real accounts. While Twitter has been under the spotlight due to bots activities, as typically, bots are easy means to engage in unethical and illegal activities. Twitter puts the figure of bot accounts a little above 27 million, restating its previous estimate that 8.5 percent of its active monthly users are automated accounts. Facebook has updated its policies, now forbidding anyone from using its data for surveillance purposes, after ACLU report released in October found that Facebook, Twitter and Instagram provided feeds of user data to a social-media monitoring program. The data was used by police to track racially charged protests in California and Baltimore, all in the United States. While Facebook provides developers access to public feeds that are used to monitor trends, the developers on the other hand, created monitoring tools marketed to law enforcement agencies to track activities on the social network. The new policies update was as a result of works with advocacy organizations including the ACLU of California and the Center for Media Justice. According to Facebook, the new policies is meant to limit how developers, advertisers, and others can use data on its platform. And as a follow up, the coalition is pushing the social networks to establish robust systems to ensure that they comply to important rules protecting users against surveillance. WhatsApp has been grappling with monetization issues, now the Facebook owned company seems to be heading to the direction of enterprise users to realize this goal, as it demos a new tool that will enable businesses reach its mammoth crowd directly for the first time. The new tool which is currently in testing with a handful of companies that are part of the Y Combinator start-up incubator, is perhaps an early signal on the direction the messaging platform intends to make money from its massively popular service. According to messages posted on a Y Combinator forum, WhatsApp struck a deal with Y Combinator, which provides training and advice to startups that show potential, to have a small number of them take part in an early trial. While, some other possible means include allowing users to initiate a transaction from their bank directly on the app, or/and to make payment for a flight with hotel reservations. The company has been carrying out surveys about the extent to which users talk to businesses on WhatsApp, and whether there are issues of spam, according to revealed documents. 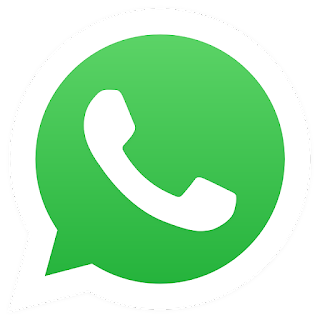 The documents suggest, however that WhatsApp is perhaps wary about its users having to put up with spam messages, citing examples such as a user talking to a bank about a fraudulent transaction or to an airline about a delayed flight. 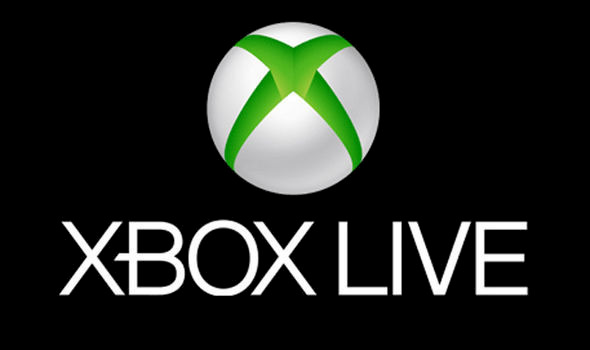 Earlier in the Month, Microsoft announced that the Xbox Live Creators Program will allow any game developer to publish Xbox Live-enabled games on Xbox One and for Windows 10 platform. According to Microsoft, with the Creators Program, anyone can integrate Xbox Live sign-in, presence, and social features into their Universal Windows Platform (UWP) games, then publish the game to Xbox One and Windows 10. 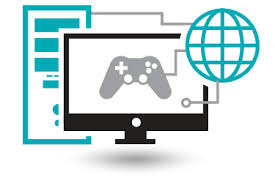 What this means is that game developers would get maximum exposure for their games, from every Xbox One owner across the Xbox One family of devices, as well as hundreds of millions of Windows 10 PCs, and millions of folks using the Xbox app on mobile devices. Microsoft had previously opened up the Xbox Store to app developers, and now, this current move goes to show the company's resolve to embracing open web ideology. The Xbox Live Creators Program is aimed to empower anyone to rapidly publish Xbox Live-enabled games on Xbox One and Windows 10 PCs, which in turn will help Microsoft cover-up on apps-deficit on its platforms. Albeit, games published through the Creators Program isn't on equal footing with the latest AAA shooter from big publishers: for Xbox One, games published through the Xbox Live Creators Program is made available in a new “Creator games section” within the store. And for those wishing to integrate with Xbox Live services and publish their games on the Xbox or Windows Store, will require approval from Microsoft first, through a program called ID@Xbox. WikiLeaks.org, the controversial whistle-blowing portal, had reported that the CIA have developed programs that take advantage of unknown vulnerabilities in nearly all the OSes powering mobile phones, tablets and computers. While nobody has been able to verify whether or not the documents are real, the threats contained therein have been taken rather seriously by the major software vendors. Microsoft statement on Thursday afternoon, claims that the Central Intelligence Agency's alleged hacking tools shouldn't be able to crack Windows 10 PCs. According to Microsoft, Windows 10 software should be safe from the "dated" vulnerabilities that appear to target "older systems. And the company has also pledged to send updates to customers should any new threats be discovered. 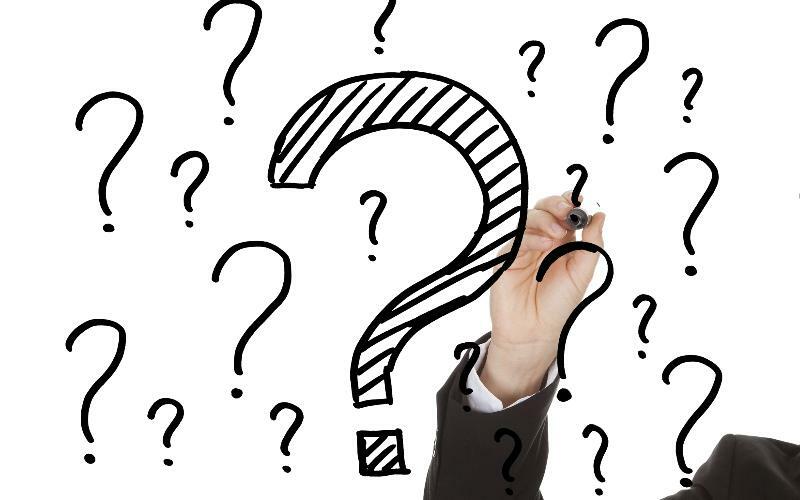 The company stated in an emailed statement, about taking the security issues very seriously and continuing a deeper analysis to determine if additional steps are necessary to further protect its customers. WikiLeaks alleged CIA Hacks: Is Windows 10 safe from the "dated" vulnerabilities? WebAssembly will enable developers to create CPU-intensive game apps, with full rendering in 3D, and video editors that run in near-native speed without relying on plug-ins. While the emerging technology, WebAssembly is an offshoot of Mozilla research project, it was first announced in mid 2015, and was demonstrated executing Unity's Angry Bots in Firefox on March 15, 2016. Meanwhile, Apple (WebKit), Google (Chromium) and Microsoft (Edge) have also subscribed to WebAssembly. WebAssembly has been tagged as the leading standard for both current web apps and newer categories that may have been stymied by performance issues. Google had announced WebAssembly support in Chrome 57, which is slated to be released on March 14, however, Mozilla's Firefox 52 support for WebAssembly, which is now available for download has taken the steam out of the Google's browser. If you're a Firefox user and wanted to be part of the early action, you can trigger an update by selecting ‘About Firefox” from the Firefox menu and follow the prompts. Facebook had earlier quipped about its intentions to bring down fake news following criticism for its role in spreading demonstrably false stories ahead of the U.S. presidential election. Now, the social network has rolled out, "Disputed Tag", a new flagging system for fake news which tags hoax stories as “disputed” using non-partisan third parties to assess the factual accuracy of stories. Initially, Facebook declined that the spread of fake news on the social network could have influenced the election, but subsequently acknowledged the possible role of engineered misinformation. While the system seems to be transparent, as only stories, not entire sites, are flagged and may continue to appear on the social network, albeit with links to debunkers from participating organizations like Snopes and Politifact. And after a story is flagged as disputed, it will be reviewed by the third-party fact-checkers, if proven to be a fake news story, then it would be labelled as hoax in the News Feed. Additionally, Facebook is compiling a list of web domains that have been notorious for spreading fake news so that it is automatically flagged. The new feature is currently rolling out, and every Facebook user should be able to see it in the coming weeks. There is no doubt that pictures are worth a thousand words. A beautiful image will give you the ability to capture a special moment, so it can be cherished for the rest of your life. Nonetheless, some consumers will be interested in taking things one step further. If you agree with this statement, you should consider using Movavi Slideshow Maker to transform your gorgeous images into a totally mesmerizing slideshow. The innovative software will allow you to turn your still images into a cool slideshow and top it off with the perfect music. The software’s features will be explored in greater depth below. In all probability, you’ve tried to create a slideshow in the past. Sadly, the process isn’t always easy. Some programs are simply too difficult and too complex for the average individual. This will never be a problem with Movavi Slideshow Maker. In fact, this software will give you the ability to create stunning slideshows in just 5 simple steps. First, you’ll want to add your media. You can add photos, videos, and even complete folders. Then, you’ll need to add transitions. Next, it is time to choose your slideshow’s audio. The fourth step involves adding titles and effects to each slide. Once you’ve made your way through these steps, you’ll be finished. You’ll just need to save your movie to a specific format and make it available to your friends and family members. The entire process could not get any easier. While your family pictures will truly be the heart and soul of your slideshow, you will also want to make sure that the transitions are perfect. With Movavi’s Slideshow Maker, you will be able to choose from a wealth of transition options. In total, there are more than ninety different transitions to choose from. These transitions are conveniently placed into three categories, so you will be able to find one that suits your needs right away. You can also add fades to your clips. With these options, you will be able to ensure that your video beautifully switches from one clip to the next. A slideshow can be great on its own, but it will far better with a little bit of music. The music can help set the mood and make your slideshow so much more personal. This is one of the best features of the amazing slideshow maker. With this software, you will be able to complement your images with music with just a few quick clicks. The program comes with a few tracks or you can easily import your own audio files. The software is compatible with various audio formats, including MP3, M4A, WAV, WMA, AAC, and more. Once your music has been synced to your slideshow, you will be able to make more detailed alterations. For instance, you’ll be able to configure the slide duration, so it perfectly matches the tempo of the selected music. While this software is specifically designed for creating slideshows, the benefits go well beyond this. For instance, it can be utilized to add captions and titles to each and every one of your slides. You can use this feature to ensure that the viewer is aware of the picture’s meaning, location and date. There are more than twenty caption styles to choose from. You can also utilize this software to manipulate your images with a variety of different effects and filters. In total, there are more than 60 cool special effects and filters to choose from. Truly, with this software, you will be able to customize and perfect everything, until your movie is absolutely immaculate. Eventually, you’ll want to export your slideshow and share it with your friends and family members. With Movavi’s software, this couldn’t be easier. The software is compatible with a wealth of video and audio formats. In terms of video formats, you will be able to choose between MP4, MPG, WMV, WebM, and more. The available audio formats include AAC, FLAC, MP3, WMA, WAV, and others. This ensures that you’ll be able to share your slideshow across a variety of social networks, video sharing sites, and numerous mobile devices. 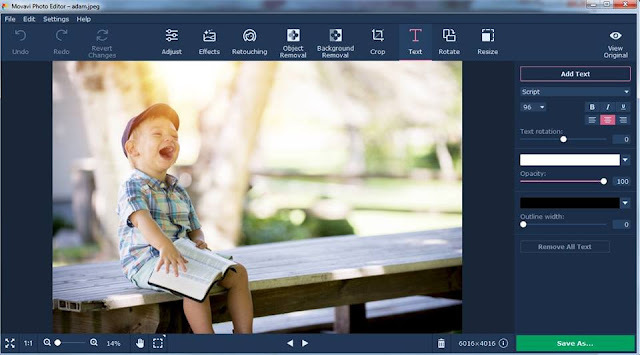 The software is capable of making your slideshow compatible with Android, Apple, BlackBerry, and other smartphones. Alternatively, you can also configure the file format to ensure that your slideshow can be uploaded to Facebook, YouTube, and other video sharing websites right away. In some cases, your slideshow will only need a few minor tweaks to reach sheer perfection. If this is the type of situation you’re facing, you will adore Movavi’s software. The software is more than capable of making advanced changes. It is also perfect for making simple manipulations quickly and easily. For instance, you will be able to cut and rotate your slides. You can quickly split the slideshow into multiple segments and remove unwanted frames. You can also rotate your frames to ensure that they’re not upside down or sideways. On top of this, you will also be able to use the program to crop your photographs and zoom in as necessary. What's earlier known as Google Messenger has now turned Android Messages, and would be rolling out as the default messaging app across all Android phones. Google had formerly hinted on works to bring Rich Communication Services (RCS) to Google Messenger, while the released version 2.0 sports a number of changes to cleanup the interface and prepare for better messaging experience. Android Messages as the default text messaging app for Android phones, means the app will be pre-installed on Android phones from manufacturers like LG, Motorola, Sony, and others. While the expected update to the Android Messages to make text messages more powerful by changing from Short Messaging Services (SMS), to Rich Communications Services (RCS) - remains in the works. And when updated to RCS, Android Messages will offer features such as receipts that show when a message has been read, stickers, maps and more. Albeit, for Android Messages to feature RCS capabilities, major service providers including Sprint, Rogers, Telenor, Orange, Deutsche Telekom, Vodafone, and Globe, have been selected as supported partner cell phone service providers. The RCS features will only be available for messages sent and received within the Android Messages app on the select networks.